Dr. Mark Lucas is an Associate Professor of Music and the Director of Choral Activities at Bethany College in Lindsborg, Kansas where he is also director of the Bethany Oratorio Society. At Bethany Mark teaches conducting, music education courses, voice lessons and is the conductor of the Bethany College Choir and Bethany College Chamber Ensemble. He is also the Senior Choir Director at Messiah Lutheran Church in Lindsborg. Dr. Lucas received a degree in Music Education from Bethany College in Lindsborg, Kansas and an M.M. in Choral Conducting from the University of Oklahoma where he studied with Dr. Dennis Shrock. 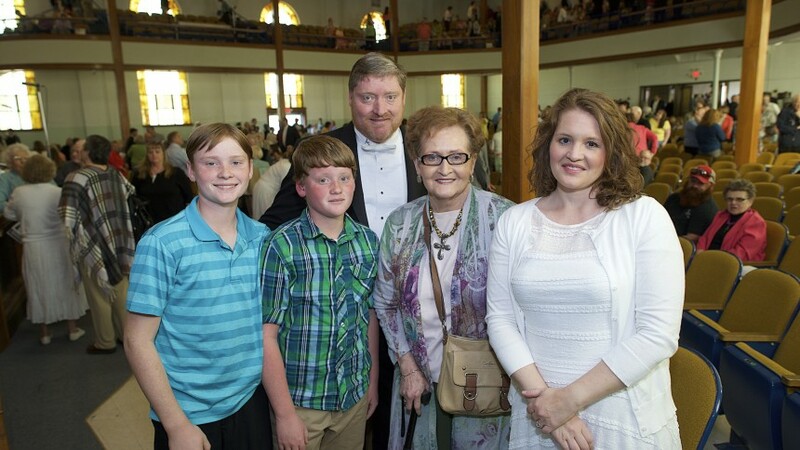 He received his Ph.D. in Choral Music Education from the University of Oklahoma, studying with Dr. Shrock, Dr. Nancy Barry, Dr. Michael Raiber, and Dr. Steven Curtis. His dissertation, Adolescent Males’ Motivations to Enroll or Not Enroll in Choir, is a study of what factors influence young men in grades 7 and 8 to participate in choir. His more recent work has been published in the Choral Journal and UPDATE: Applications of Research in Music Education. Mark has served on the advisory committee for the Music Educators Journal. As a tenor, Mark has sung professionally with the Santa Fe Desert Chorale and remains active in teaching studio voice. Most recently Mark sang in the Ad Astra Chamber Chorus in their production of Handel’s Jephtha. As a conductor, Mark’s past work ranges from preparing major works, such as Brahms’ Requiem and Purcell’s Dido and Aeneas, to extensive work with middle and high school choirs. Currently he focuses much of his conducting efforts to yearly performances of Handel’s Messiah and Bach’s Passion according to St. Matthew during the Messiah Festival of the Arts at Bethany College. The festival is in its 137 consecutive year of bringing the finest of the arts to the midwest. Dr. Lucas is a frequent clinician and adjudicator for choral groups of all ages. He is the founder of the Young Men’s Vocal Workshop at the University of Oklahoma, which has featured more than 1000 young men in concert. In his teaching, Mark employs an integrated approach to choral methods, using authentic teaching experiences as a major part of course work. Previously, Mark served for four years as Director of Choral Activities at Kansas Wesleyan University in Salina, Kansas and taught vocal music to students in grades 6-12 in Marion, Kansas. Mark enjoys spending time with his wife Jeanne and their two boys Matt and Jake.